A global study has found dusty, dry riverbeds can become carbon emitters when the water starts flowing again. A research team from 22 countries including Australia has evaluated what happens to plant litter that falls into dry river beds. They found that the piles of plant litter accumulating in a dry river bed likely contribute to global climate warming. When the water returns, the accumulated leaf litter decomposes very rapidly in association with intense biological activity. This activity releases large amounts of carbon dioxide into the atmosphere. The experts say that because the contributions of these drying rivers have not been included in global carbon accounting previously, it could be very significant. “Surprisingly, intermittent streams and drying rivers are thought to include more than 50 per cent of the river length world-wide,” said Professor Angus McIntosh. It is the first piece of research published from a collaborative study involving 94 international partners from 22 countries studying the dry beds of 212 rivers from round the world. 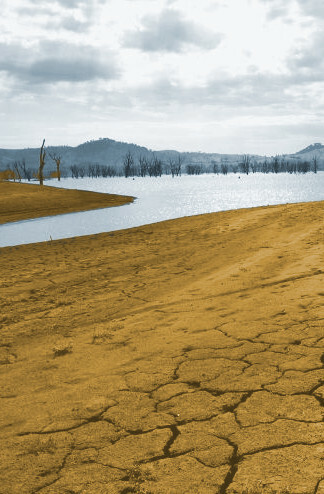 Until recently, drying and intermittent rivers had been largely ignored. The global study is beginning to reveal they really are very important and should not be ignored.